Sign up for an appointment in the Tutoring Center here! Click on one of the red circles below to schedule a tutoring appointment. Remember, if there are no appointments available, you can “drop in” at the library and meet with a tutor when they are not busy. 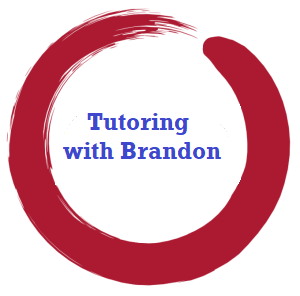 Scroll down to find answers to frequently asked questions about tutoring. Who can use the Tutoring Center? 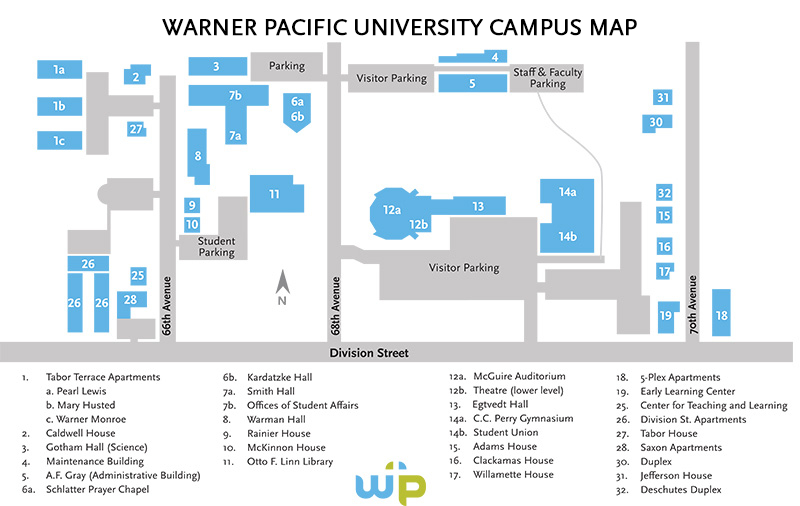 The Tutoring Center is available to all current PIA students, as well as Warner Pacific University international students. Appointments in the Tutoring Center are free. Students can sign up for one per week. Additional help is available for a fee. For $50 per hour, students can meet with a tutor for as much time as they want. The times are flexible, so the tutor and student can make their own schedule. It is open after school. Times vary depending on the term. Appointments are not available Friday-Sunday, holidays, and between terms. 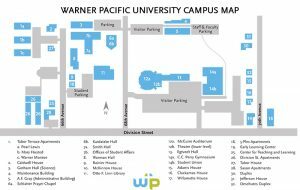 Where is the Tutoring Center? It is located on the main floor of the library. The map to the right shows the location. All of PIA’s tutors are professional, experienced ESL teachers. What can tutors help students with? PIA’s tutors can help students study grammar, reading, writing, speaking, listening, and test preparation. 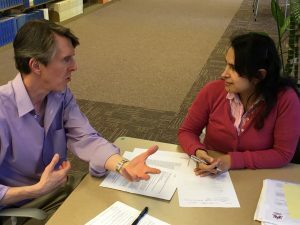 They can also discuss culture, give advice on being a good student in the U.S., assist with forms and paperwork, and help students practice casual conversation. Appointments are made using a scheduling program. Click on the link(s) above to go there. Once an appointment is confirmed, a confirmation email will be sent. What if a student needs to cancel an appointment? Sometimes appointments need to be canceled. PIA requests that cancellations be done 24 hours before the appointment. If there is an urgent reason to cancel on the same day as the appointment, the student should contact the tutor. Cancellations can be done through a link in the appointment confirmation email.